The Camellia Grill: Right on the streetcar line where St. Charles meets Carrollton, The Camellia Grill is a classic. Opened in 1946, it is famous for its diner fare, friendly staff, and countertop dining experience. St. James Cheese Company: Located on Prytania Street just a few minutes from campus, this cheese shop also serves up some of the best sandwiches and salads in town. 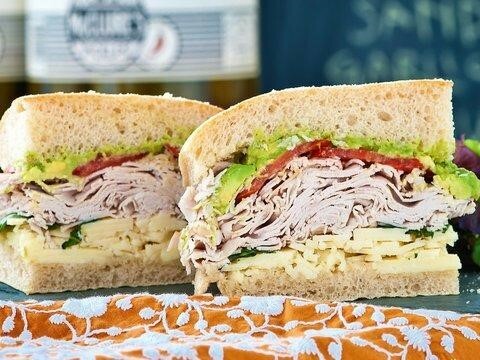 Our office faces a constant debate over which sandwich reigns supreme. You also can’t go wrong with a cheese board. Prytania Street is also home to Creole Creamery, just a few steps away so you can get your dairy fix all in one fell swoop! Dat Dog on Freret: It was hard to pick just one place on Freret to highlight. However, Dat Dog is just such a fun and unique place we had to talk about it first. 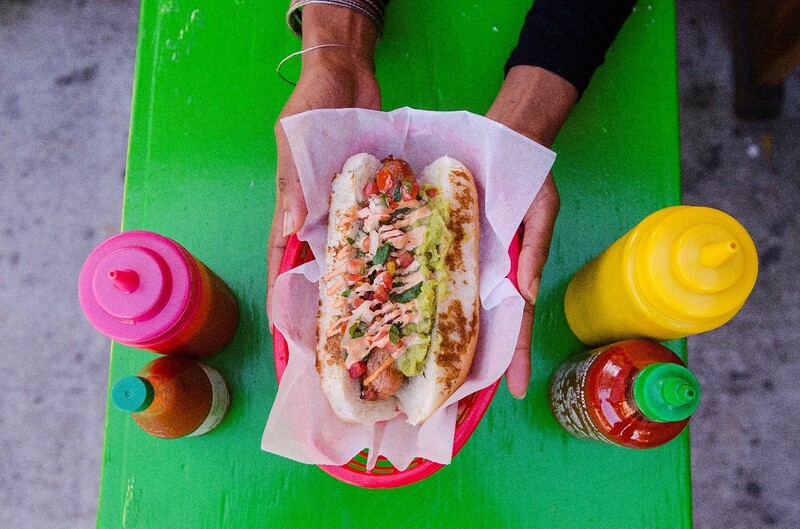 Dat Dog is home to amazing hot dogs, sausages and fries and a renovated gas station. You can get anything from a fried fish dog to alligator sausage to the Guinness dog. Dat Dog is a huge hit with students and they have multiple locations around town. Freret Street has seen huge growth in recent years. There are tons of great places to eat. Some of our other favorites include Liberty Cheesesteaks (owned by a Tulane Alum), The Company Burger, Good Bird, High Hat Café, and many more. Freret is also home to Cure, a classy bar with food that recently won a James Beard Award. Basically, you can’t go wrong with a jaunt down Freret! Domilise’s: Almost 100 years old, Domilise’s serves up amazing po boys in a no-nonsense setting. 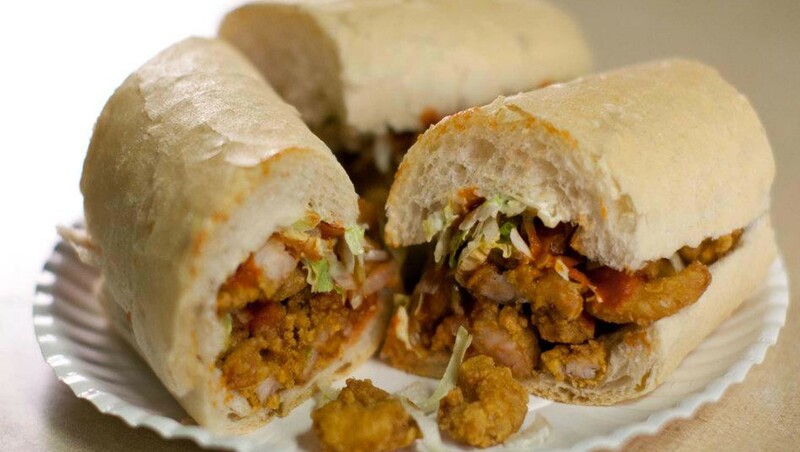 Some could describe it as a hole in the wall, but you simply can’t deny the combination of a shrimp po boy and a cold beer. 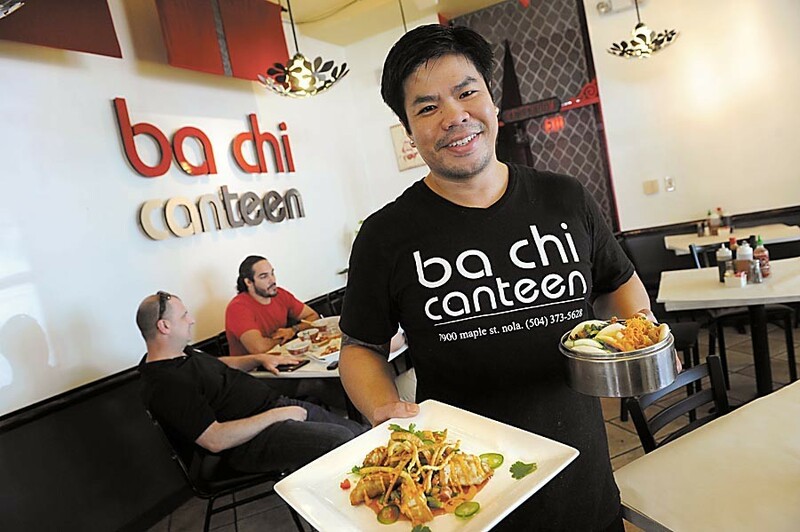 Ba Chi Canteen: A lot of people don’t realize how strong a Vietnamese influence there is in New Orleans. Ba Chi on Maple is a favorite of students and staff alike. They offer a wide spread of Vietnamese dishes from vermicelli bowls to pho to bahn mi sandwiches. They also are known for their steamed bun “bacos” that are simply to die for. Come hungry! Pizza Domenica: An offshoot of one of our favorite restaurants, Domenica, Pizza Domenica offers many of the same great dishes at their Uptown location. 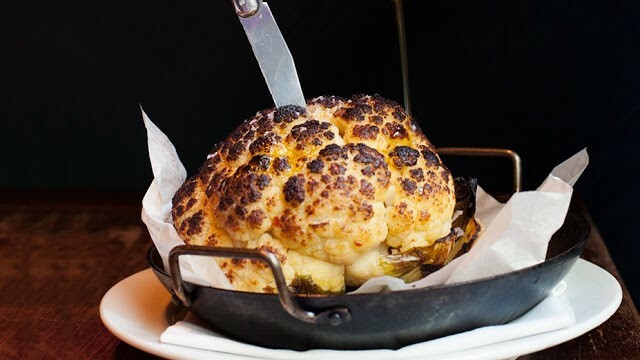 Their prosciutto pizza is a favorite, but the star of the show might just be the roasted cauliflower. Tulane’s Director of Admission Jeff Schiffman says that it will change your life. Satsuma: I had to make sure I got a student opinion our list, so I asked Shelby Strattan (B '18) for her best restaurant choice! I happen to agree, Satsuma is exceptional. Shelby says; "If you're looking for some zesty, healthy flavors near campus, try out Satsuma Cafe! This breakfast and lunch place is located on Maple Street in an area populated with coffees shops and boutique stores. They offer options ranging from fresh pressed juices to the most savory homemade pancakes. They also offer constantly changing daily specials. Personally, my favorite order is the three egg scramble with the most delectable and fluffy biscuit known to New Orleans. Check out this student hot spot—you'll want to be here every morning for breakfast!" There is also a location down in the Bywater if you are up to explore the city. Comments on "What to Eat? 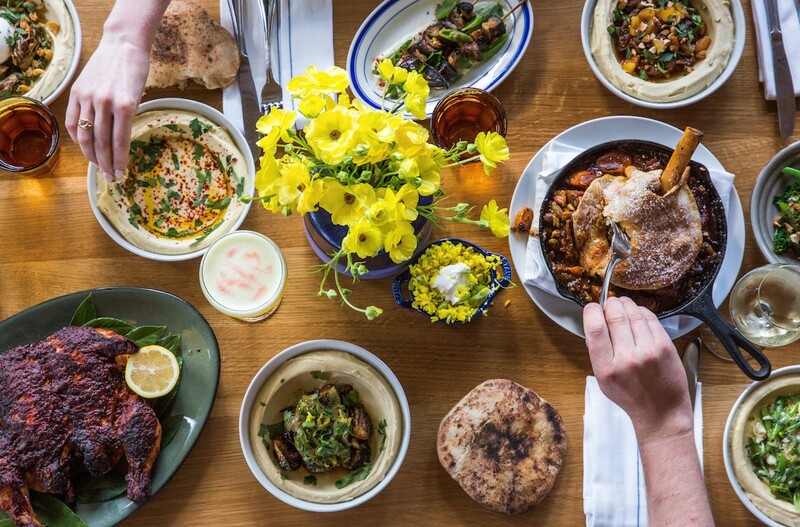 Our Favorite Restaurants Close to Tulane and Loyola"